We’ve previously shown how to control lights with a 433 MHz PIR motion sensor via a 433MHz to WiFi bridge based on an ESP8266 WiFi module itself commanding Sonoff Basic wireless switches connected to the light bulbs. It works, and can be useful for more advanced features like monitoring when people came in and out of the room, but if you just want your light to turn on when motion is detected, and it’s dark, Zanflare QP6012SA looks much easier to install and setup as it already includes both a PIR motion sensor and can detect light intensity. The manufacturer claims the light is durable with a main body made of aluminum, and a life expectancy of 20 years for 3 hours of use per day. 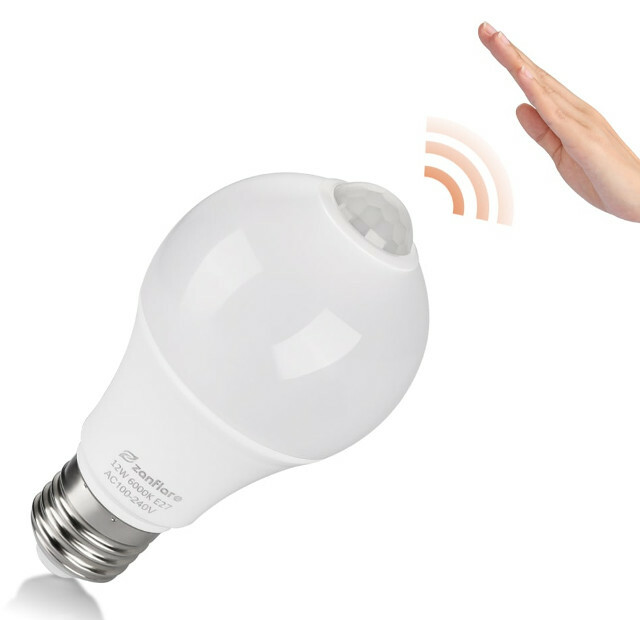 There’s no app, no button to adjust the settings, no wiring or configuration, just screw the light bulb into an E27 socket, and you should be good to go. It won’t match everybody’s requirements due to the not-so-wide temperature range which makes it unsuitable for outdoor use in many climates, and it’s not quite as flexible as using a WiFi switch since you can’t use any type of lights, it requires an E27 socket. 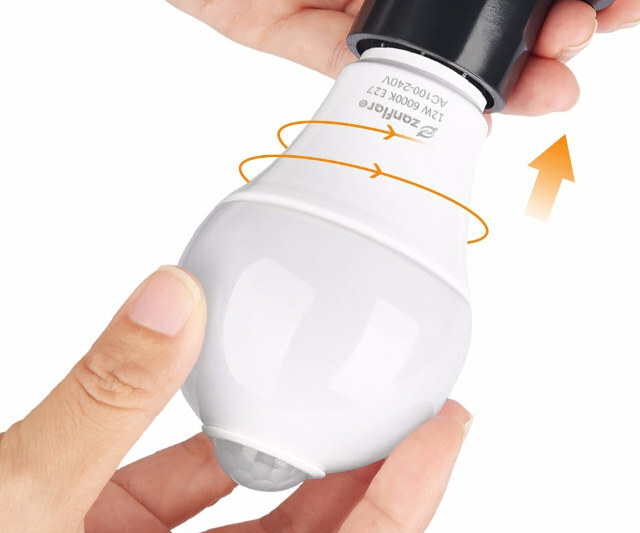 I first found the light bulb on GearBest where it is sold for $13.99 shipped, but Amazon US also have it for $10.88 + shipping. 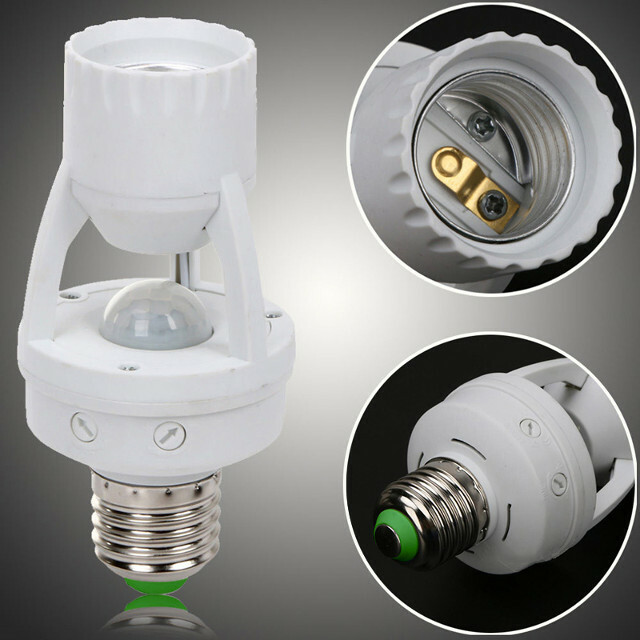 Aliexpress does not have any such light bulbs, but I did found some E27 sockets with built-in PIR sensor for $5 + shipping as pictured below, which allows you to select your own E27 light bulb.